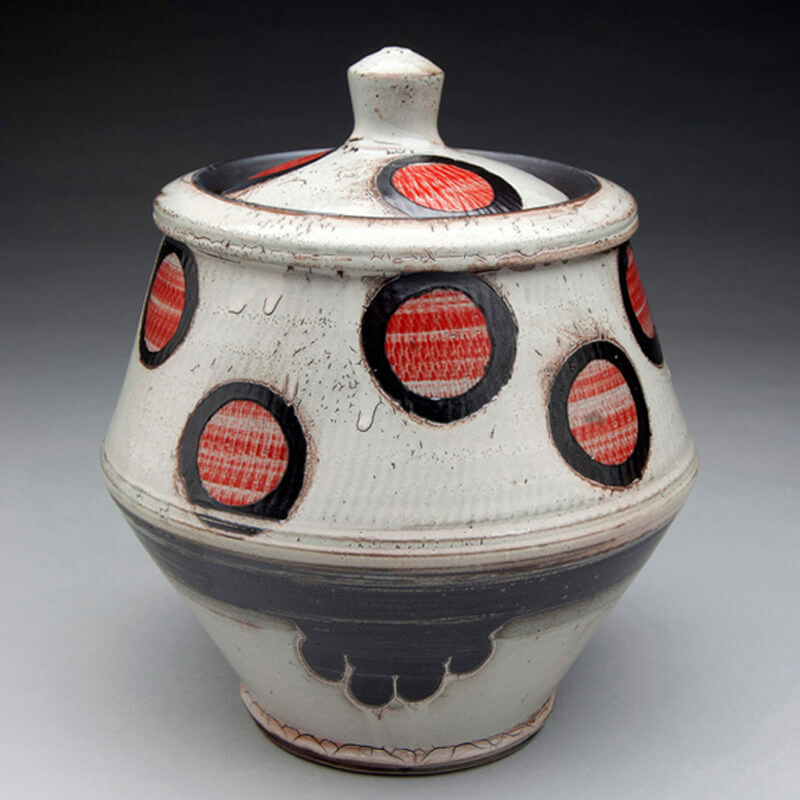 I grew up in Carbondale, Illinois and became interested in Ceramics while in high school. I studied ceramics at Southern Illinois University in Carbondale, the Kansas City Art Institute, and at Alfred University, where I received my MFA in 1999. In addition to having been an artist in residence at the Archie Bray Foundation in Helena, Montana, I taught at the University of Texas at Austin, Penn State University, and currently teach in the ceramics area of Murray State’s department of Art and Design. I have always had vivid dreams, and though I have never been a religious or superstitious person, I have always believed that my dreams had significance. The fact that there are large parts of myself that I can’t experience in waking life is deeply fascinating and disturbing to me, and it motivates much of my work as an artist. I think of the things I make as geological, biological and psychological relics, as if my mind were a site of excavation. Wet clay records the work of our hands and reflects the softness of our bodies as well as the plasticity of our thoughts. When we fire it, it becomes like a fossil—hard, dead and stony, but with the evidence of a time when it was soft and alive in someone’s hands. I am attracted to how clay can speak of our living bodies but at the same time of our mortality and of the span of geologic time.